A Local Authority like Auckland Council plans capital expenditure for urban projects – like the pretty CBD road and footpath improvements. The problem with infrastructure maintenance is that it is very expensive, and it occurs in the future. Competing against the pretty high profile projects it suffers because it takes second place. On the Audit NZ website is a document that records an audit of the performance of Local Government that is pertinent to this topic. The Local Government Commission has recommended a single unitary council for the whole of Northland. The commission at Waitangi on Tuesday revealed its draft proposal for reorganising local government in the region. It proposes one council and one mayor for Northland and a second tier of community boards. 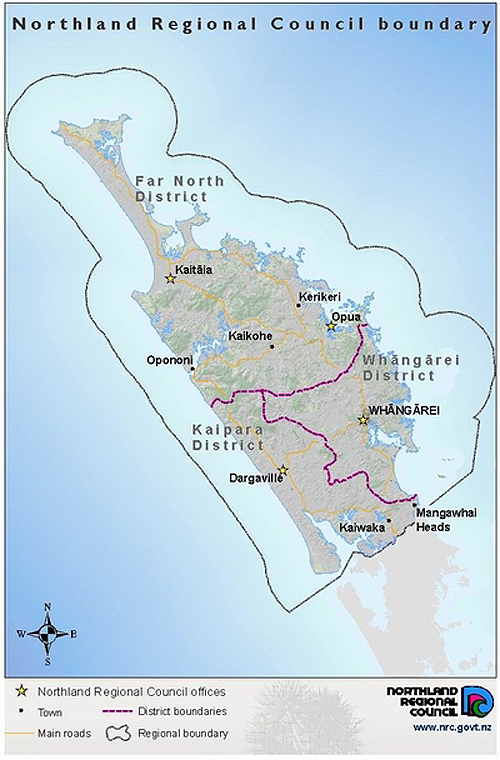 A new nine-member council, to be based in Whangarei, would replace Far North District Council, Whangarei District Council, Kaipara District Council and Northland Regional Council. The commission also proposes a special council committee to represent Northland’s large Maori population. Sunday, 22 September 2013 12:03 p.m.
A reporter’s ranting ratings! – on voting-papers-weekend! With two pages of a reporter’s ranting ratings! on Councillors, the ODT has emotively screwed with voter preferences just as their voting papers arrive. 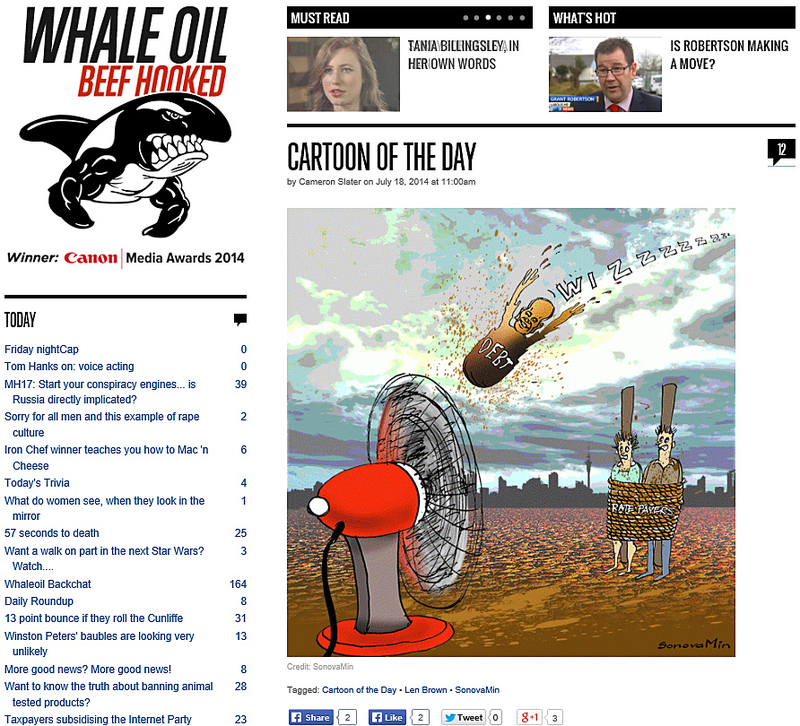 For the Mayoralty the ODT has again backed a TV-show-pony instead of a work-horse. 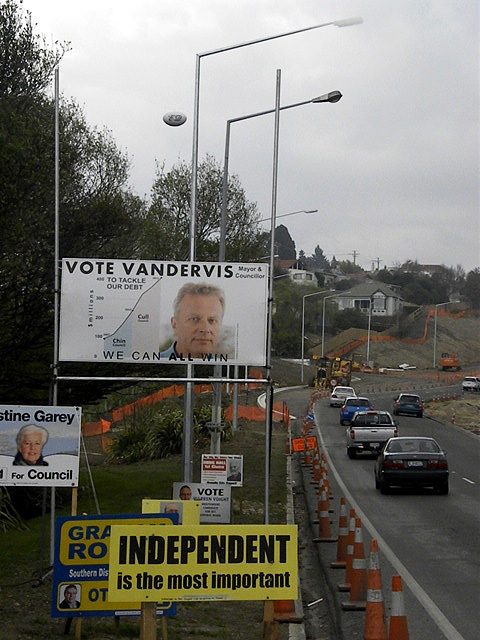 Where is the headline ‘Imaginative and informative election posters from Vandervis’? You have helped buy a Stadium that we can not pay for, neither capital nor operational, and failed the only candidate that told you so and still might have been able to pay for both. 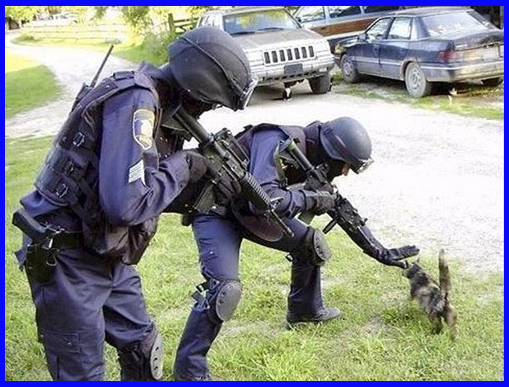 You are sending our new CEO saviour in search of a saner situation. You have, in this most important ODT issue of the triennium, taken the Dunedin disease of savaging style over substance to new debilitating depths. You have permanently compromised any perceived impartiality of your primary DCC reporter, and warned off any decent future DCC candidates. The Government is expected to announce details of its local government reforms today which aim to reduce rates increases and curb council debt. Prime Minister John Key said this morning the Government believed the 7 per cent average rates increase since 2003 was too much for the community to shoulder. “We accept there are lots of arguments around infrastructure deficit and the cost of bitumen but overall we want to see that number lower,” he told Newstalk ZB. Government must give ratepayers greater protection from free-spending councils. Ratepayers around the country are looking for some solid changes to local councils when the Government makes its promised announcements on local government reform later today. While controls on rates and debt are the main issues there is also the question of limiting those council activities which lead to high debt and ever-increasing rates. This could need inserting new clauses in the Local Government Act clearly defining the services and facilities which councils can and cannot be involved in. 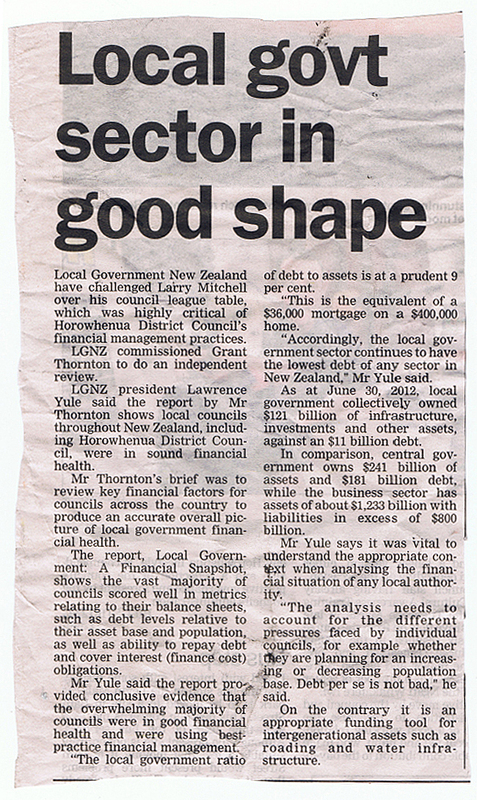 Ms Sage hasn’t quite got it right, see Dunedin City Council’s unmanaged debt. The Cabinet is to consider a range of proposals aimed at controlling growing costs in the local government sector. Local Government Minister Nick Smith has said his main concern is council spending and the financial burden of rates on households and businesses.